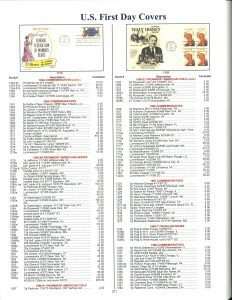 One of the lesser known catalogs still in publication that can be found in the American Philatelic Research Library collection is the Brookman stamp catalog, more properly referred to as the Brookman Price Guide or Price List. 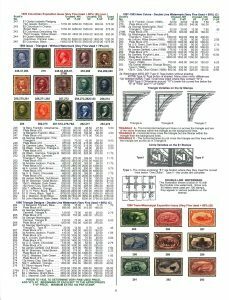 Although in the shadow of the more prominent and highly regarded Scott, Stanley Gibbons, Michel and Yvert & Tellier stamp catalogs, the Brookman Price Guide is still considered a very reputable “retail” price list that, for the purposes of the general or beginning collector, can provide very valuable information. The original Brookman Price List, a little more than 30 pages published over 80 years ago, was nothing more than a list of philatelic items on sale with the Brookman Stamp Company. Now published by Brookman, Barrett & Worthen in Bedford, New Hampshire, the current catalog is over 390 pages and has grown to become a combination of the Scott United States Specialized Catalogue published by Amos Publishing and the annual Postal Guide to U.S. Stamps produced by the U.S. Postal Service. The Brookman Price Guide includes not only listings and values for all regularly issued U.S. stamps and back of the book issues, but the guide also includes listings for postal stationery, revenues, booklets, state and federal hunting permit and Indian reservation issues, first day covers, souvenir cards, souvenir pages, and uncut press sheets as well as several other types of philatelic material. 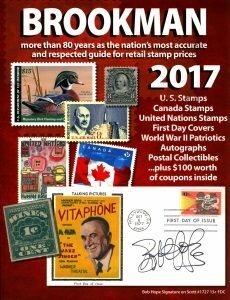 In addition to the regular U.S. listings the catalog also includes philatelic information for “U.S Related Areas” such as Canal Zone, Cuba, Guam and Confederate States to name a few. If that’s not enough, the current catalog also contains listings for the regular issues of the United Nations, Canada, and the Canadian Provinces, all in one book. Although the format of the catalog is a scaled down version of the U.S. Specialized, all listings include Scott numbers, image illustrations, some watermark information and prices for single issues, sets of various sizes (4, 6, 8 and 12), mint sheets, and plate blocks. 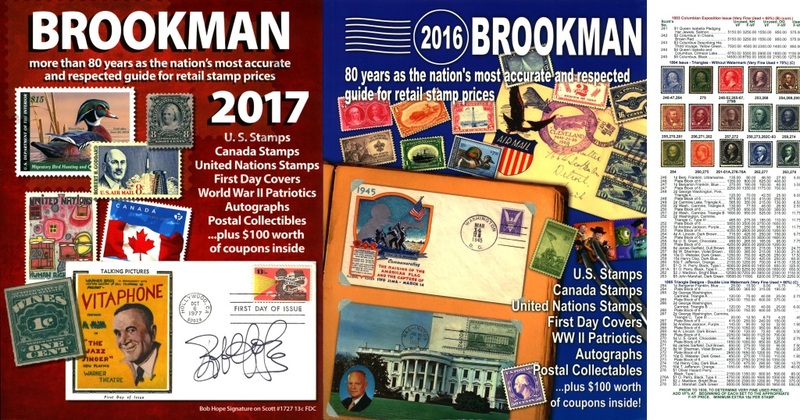 Keeping in mind that the Brookman Price Guide is primarily meant as a pricing guide and sales inventory for the stamp company, the catalog’s listed values can be slightly higher than those found in the Scott U.S. Specialized or other standard catalogs but the inclusion of prices for mint sheets, plate blocks, booklets and stamp sets as well as individual issues affords the collector the unique opportunity of consulting another recognized catalog for U.S. material in order to make value comparisons when purchasing various philatelic items. But one of the truly unique additions to the Brookman Price Guide and one that is not found in the Scott U.S. Specialized or other similar catalogs is a section devoted entirely to autograph collecting. The autograph section is organized under various subheadings such as Astronauts, Authors, Entertainers, Politicians, Scientists, Athletes and Celebrities. The listings include specific values for autographs found on photographs, letters, cards, or covers as well as just signatures on a piece of paper. This section of the price list has proven to be a valuable and one-of-a-kind resource in the Library when answering requests that involve a cover or postal card which includes a signature such as a President, an astronaut, or even in some cases a Postmaster General. One recent request involved the value of a postal card depicting the 1969 moon landing bearing the signature of astronaut Neil Armstrong. Although no catalog or price guide can ever conclusively evaluate the true value of such a distinctive piece of philatelic ephemera, the Brookman Price Guide was able to provide a reliable starting point for the market value of such an item (it’s $1,200, by the way!). If you are interested in borrowing or just using the latest Brookman Price Guide come by for a visit or request it by contacting the Library. The latest Brookman Price Guides are located on the first floor of the Library’s public space right next to the main Reference Desk.